She graduated from the Karaganda State University named after academician E.A. Buketov in 1999 with a specialty in “Kazakh language and literature”. 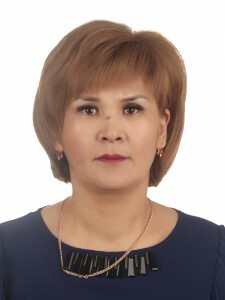 After that she graduated from Central-Kazakhstan University “MGTI-Lingua” and completed master’s degree in “Kazakh language and literature” in 2013. 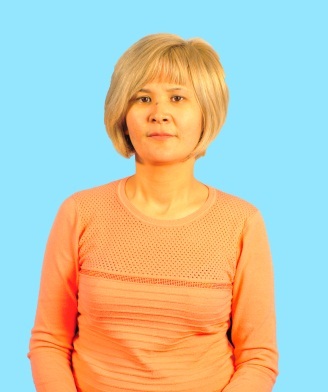 She has more than 35 published works, including 1 monograph, 5 textbooks, 5 copyrights (SIS), 5 electronic textbooks, 5 educational guidelines, 3 video lectures, 4 4 multimedia presentations, 10 slide lectures. She has been given thanks and certificates from KSTU Rector and TDF Dean.